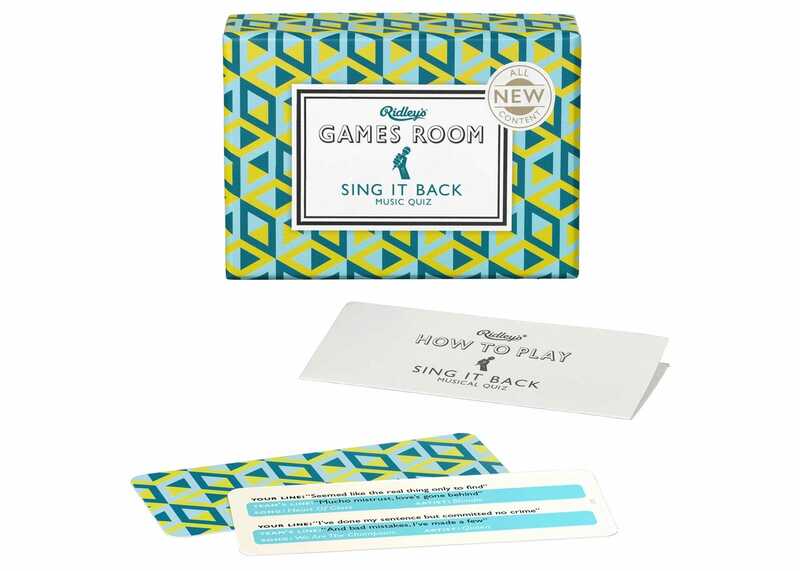 Read out the lyrics from a well-known song, your team mates must guess the next line - singing is encouraged! Earn extra points for guessing the artist and song titles. Guess the next line of lyrics to all your favourite songs, and earn extra points for guessing the artist and song titles. 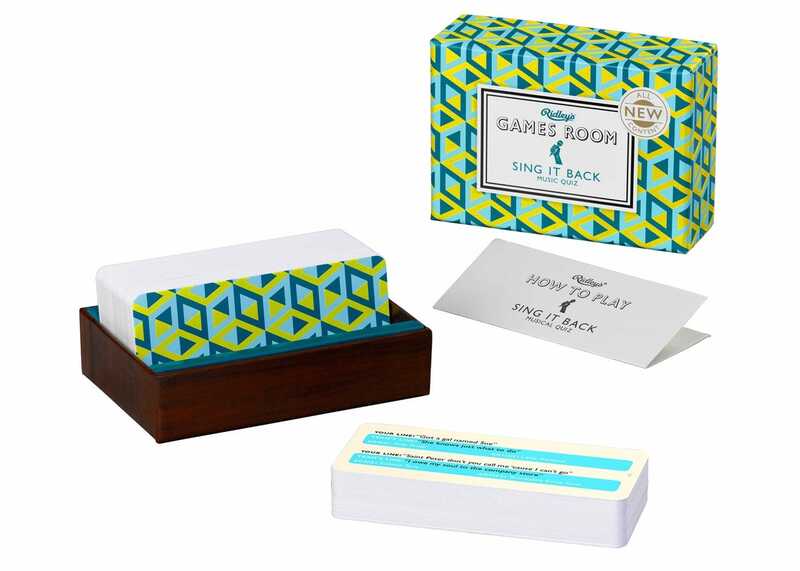 Box includes 140 question cards, 280 songs and full instructions.